Greenstick fractures provoke morphofunctional pathology and can cause alterations in growth and anatomy. 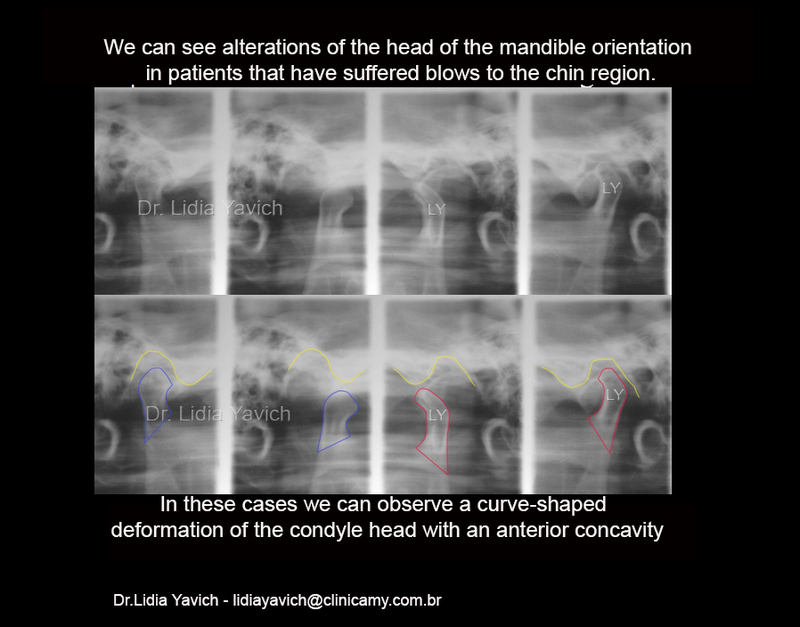 When we study the temporomandibular joint in anatomy books, we verify that the majority of these descriptions assume that the mandibular and condyle has no pathology in orientation, size or shape, a fact that we know is not always so. TMJ laminography, original image and with color enhancement showing right open and closed TMJ and left open and closed TMJ. MRI where we can appreciate the change of direction of the axis. 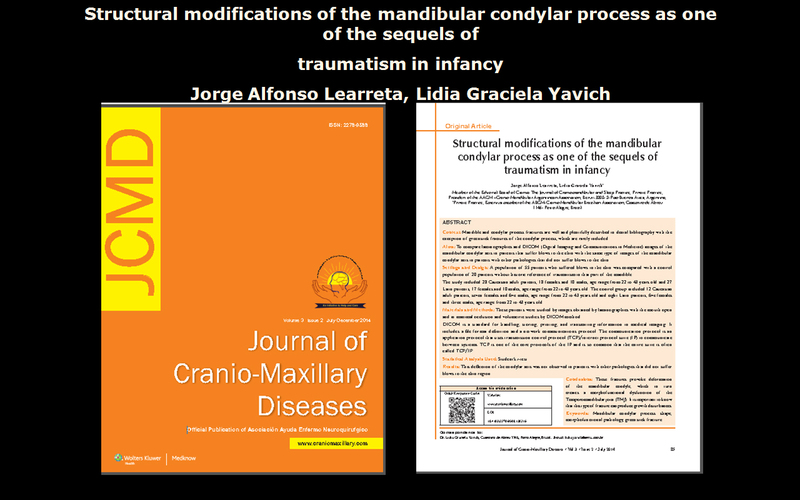 The relation between the disk and the head of the mandible looks healthy, but because of the pathological change of the growing axis the retrodiscal compression is important. “Atlas of Healthy and Pathologic Images of Tempomandibular Joint”. 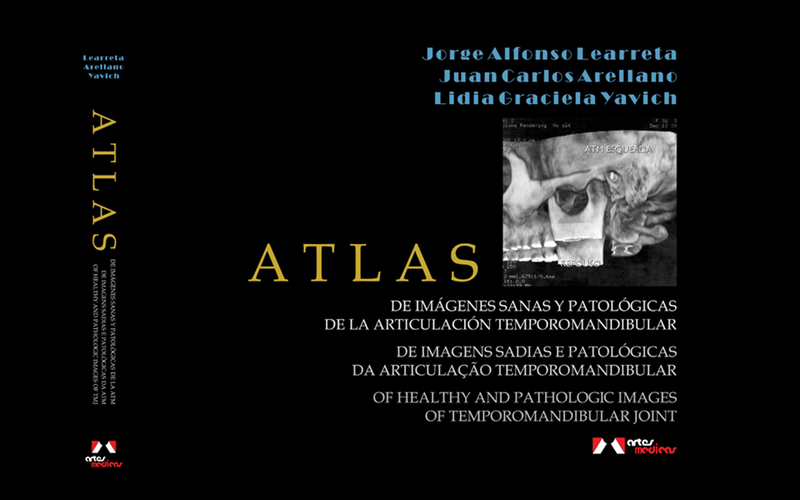 Artes Médicas, English-Spanish and Portugues 1. ed. São Paulo: Artes Médicas, 2008. v. 1. 256p . This entry was posted in Sem categoria by lidiayavich. Bookmark the permalink.